BACKGROUND OF GREASES, FATS & OILS. In some industry discussions, the word grease may refer to yellow grease, choice white grease, or combination’s of fat and oil products. 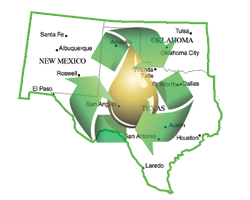 We have strategically placed offices throughout Texas and Oklahoma to deliver our customer effective and prompt service.